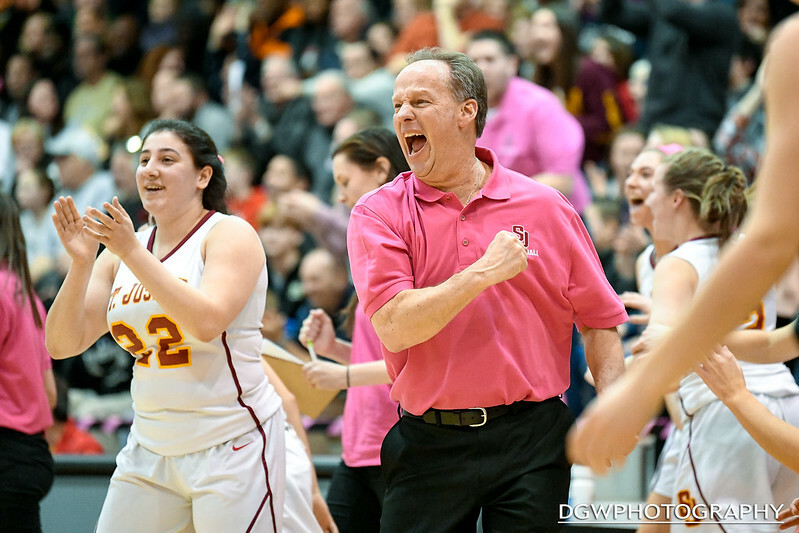 St. Joseph coach Chris Lindwall reacts after Emma Elrod’s three-pointer tied the score against Trumbull High at 46 with four seconds remaining. Trumbull eked out a 47-46 win over the Cadets Saturday night. You can read the full story in the Trumbull Times.